A radical new housing solution for students in Edinburgh is welcoming over 100 freshers this week. 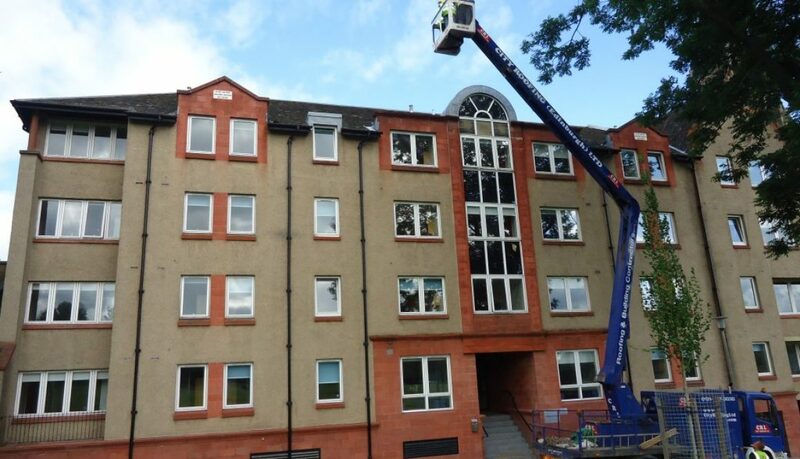 Edinburgh Student Housing Co-operative is making improvements to its building, including the installation of a laundry room, after receiving a loan from us. The co-op was set up in 2013 by Students for Co-operation, a federation of student co-ops which works to support social change across the UK. The co-op had planned to acquire a house with 10 beds, but when the opportunity arose to rent a much larger building, it was too good to pass up. With assistance from Edinburgh Council and Castle Rock Edinvar Housing Association, a five year lease was arranged for the vast property in Midlothian. This week, 106 students will move in to the co-op’s refurbished flats in Wrights Houses. They will each pay a £100 joining fee, which secures their membership to the co-op, and puts them the unique and exciting position of being their own landlords. Living in the housing co-op provides considerable financial value. £305 per month covers board, bills (including high speed internet from The Phone Co-op), use of white goods, cleaning products, and access to the new free laundry room. Each member is expected to volunteer three hours of their time per week to help with running the co-op; including finances, administration and maintenance. Some members volunteer more, and this is rewarded with a reduction in their rent.